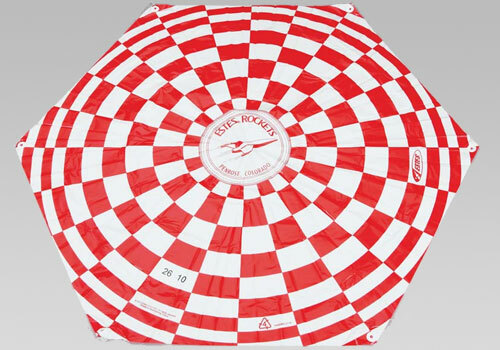 We have a wide selection of Parachutes and Streamers, both large and small. Browse this category, or click the buttons below to narrow your selection. This 12 in. 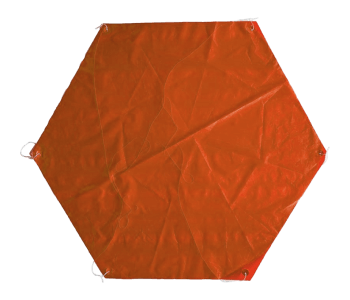 (30.5 cm) plastic parachute is preassembled and ready to use on model rockets that require a 12 in. parachute. This 15 in. 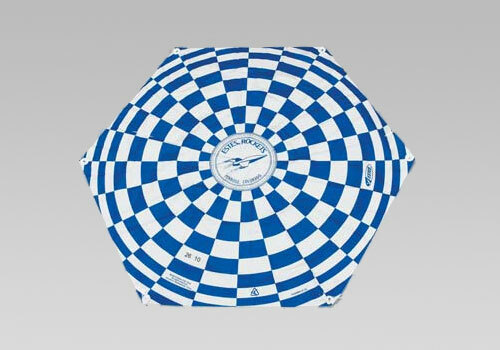 (38 cm) plastic parachute is preassembled and ready to use on model rockets that require a 15 in. 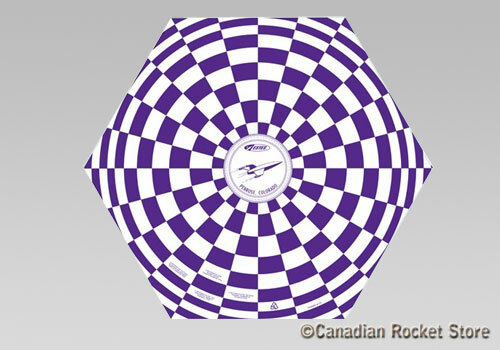 parachute. This 18 in. 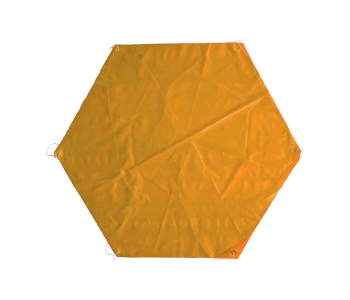 (45.7 cm) plastic parachute is preassembled and ready to use on model rockets that require a 18 in. parachute. This 18 in. 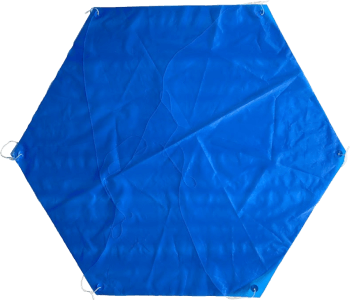 (46 cm) plastic parachute is preassembled and ready to use on model rockets that require a 18 in. parachute. 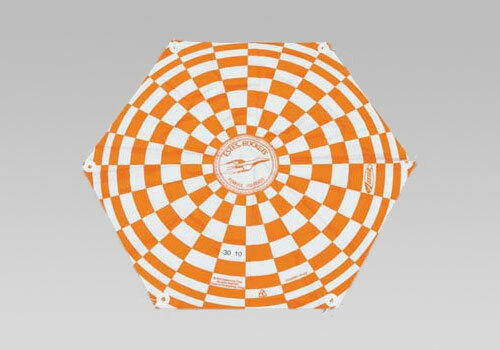 Pre-Assembled 9" Neon Orange Nylon Parachute Small ripstop nylon model rocket parachute for low-power rockets. Strong and durable, nylon shroud lines. 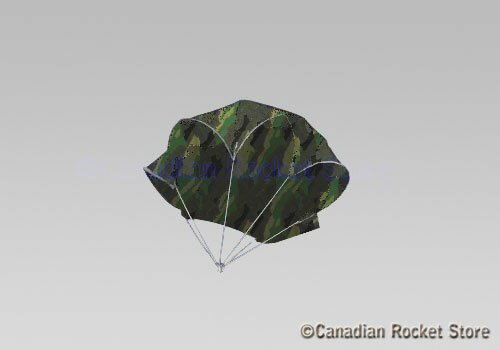 9" Camo Nylon Parachute Small ripstop nylon model rocket parachute for low-power rockets. Strong and durable, nylon shroud lines. 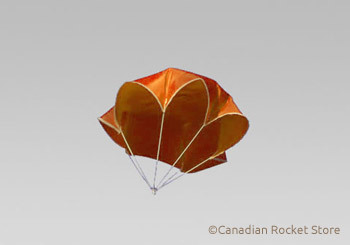 12" Pre-Assembled, Neon Orange Nylon Parachute Make this chute part of your recovery system.